As Apple keeps making its iPhones and iPads faster, it also keeps adding features to iOS that need more and more processing power. While we’re all for Apple making our devices more useful by adding new stuff to them, we’re not so keen on the idea of the hardware we depend on becoming bogged down, often thanks to features or eye candy that we simply don’t want. If you’re jailbroken though, there are means and ways to try and restore some of the snappiness to iOS 7 that we used to love, potentially returning some of our older hardware to former glories in the process. After all, we can’t all afford to buy the latest hardware to come out of Cupertino, can we? Here we’re going to cover five jailbreak tweaks that could, potentially at least, help to speed up iOS 7 on that iPhone or iPad that you tote around. Hopefully you won’t be waiting for things to happen or apps to load anymore! A new jailbreak tweak released only recently and is fully optimized to run on iOS 7. 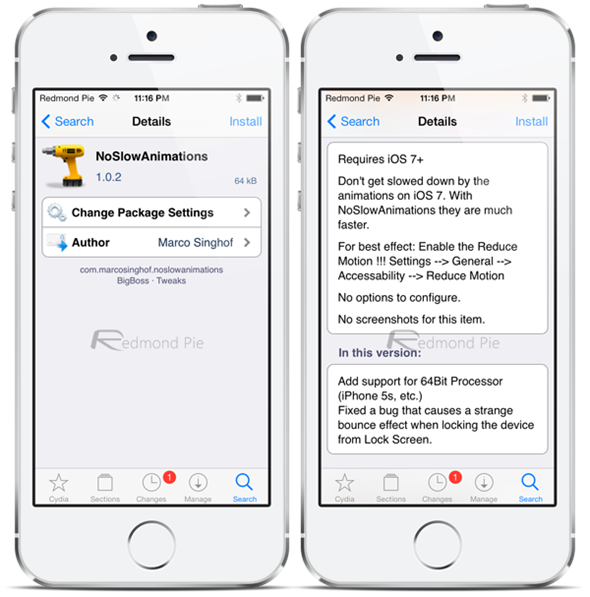 Very similar to the aforementioned tweak, NoSlowAnimations has no settings to alter, and no icon either. In fact, once installed and your iOS device rebooted, all you need do is get on with life. What you’ll notice is animations that seem to take around half as long as they used to. This tweak is available for free on BigBoss repository in Cydia. Anything that speeds up web browsing has to be a good thing! Nitrous is available for $0.99 on BigBoss repository in Cydia and is fully compatible to work with iOS 7. 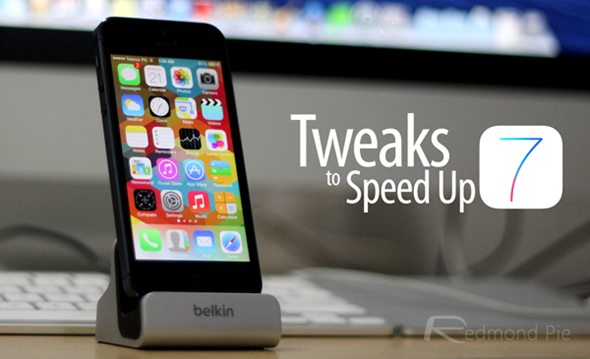 This iOS 7 jailbreak tweaks lets you access Apple’s secret internal settings for iOS. There are tons of customizable options to choose from. Recommended only for advanced users. HiddenSettings7 is available for free on BigBoss repository in Cydia. You can read more about HiddenSettings7 here. These are just some of the tweaks that can help to keep things running smoothly as well as making transitions at faster. If iOS 7 feels sluggish to you, now might be the time to start tweaking.